Scented:Good Smell,not Bad Chemical Smell.have a good fragrant. 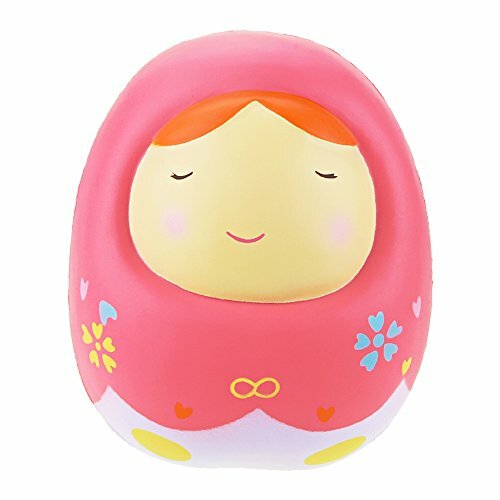 Squishy Features:have fun to squeeze,suitable as stress toy,Vent Emotion,Finger Rehabilitation Training,Birthday Party gift,collection,decoration,DIY products. Material:PU foam environmental protection materials,no toxic and super soft,slow rising memory foam,after you squeeze it,it will slow rise and dense back as normal. Special Warning:Children under 3 years old should be taken good care of by parents, to avoid accidental swallowing (The product is inedible).